green tea: San ka getsu! Counting down: three months to go until Kansai! 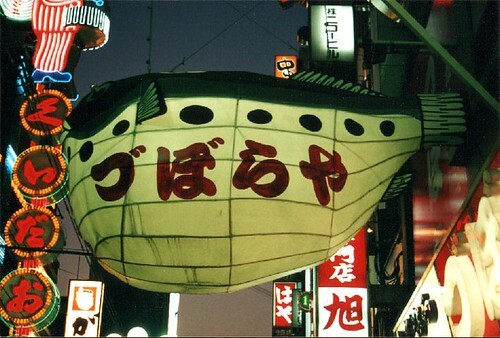 Blowfish restaurant sign, Dotonbori, Osaka. Scan of a photo from 2001. Sounds great to me, Atsuko!